This is a family portal to your child’s home away from home. We want to foster a great environment for the kids to grown up in, so we encourage open dialogue between our staff and parents. 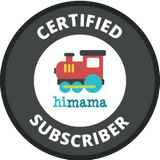 Hi Mama app is the new way to monitor your child's progress. Install the app to your phone or tablet and get the full idea of what your child has been up to. Click the image above to go to the Nursery Room 1 Page. Click the image above to go to the Nursery Room 2 Page. Click the image above to go to the Toddler Room 1 page for the 2 year old child. Click the image above to go to the Toddler Room 2 page for the 2 year old child. Click the image above to go to the Jr Preschool Room 1 page for the 3 year old child. Click the image above to go to the Jr Preschool Room 2 page for the 3 year old child. Click the image above to go to the Sr Preschool Room 1 page for the 4 year old child. Click the image above to go to the Sr Preschool Room 2 page for the 4 year old child.